In an unapologetic display of anti-digital favoritism, stalwart celluloid advocate Christopher Nolan is releasing his new movie Interstellar two days early—but only to theaters still capable of projecting film. 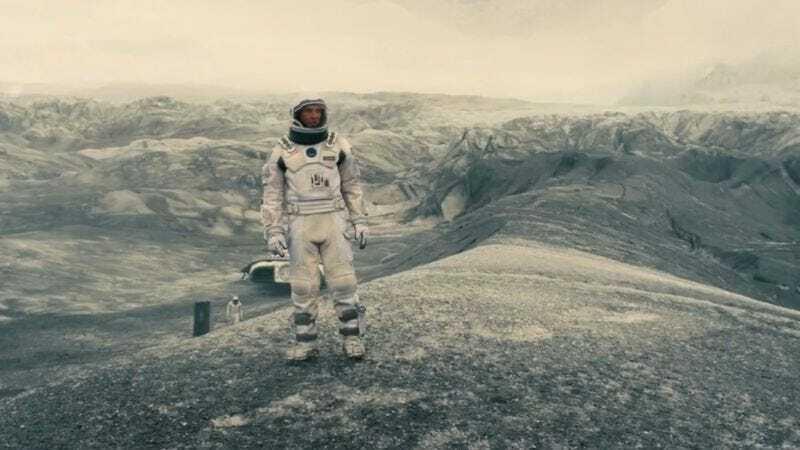 225 theaters across the U.S. and Canada will open Interstellar on Wednesday, November 5 in one of three formats: 35mm, 70mm, and IMAX 70mm for the ultimate “woah, dude” experience. Paramount Vice Chairman Rob Moore calls Interstellar an “unforgettable movie going experience” and says “we are pleased that audiences will have the opportunity to see this awe-inspiring film in a wide variety of formats.” Interstellar was shot using a combination of 35mm and 65mm IMAX film, so—not to play favorites or anything—but having seen another sci-fi epic (2001: A Space Odyssey) in 70mm, we suggest seeking out Interstellar in its native format if you can. A list of participating theaters and links to advance tickets are up on the official Interstellar website.